Gene Autry Entertainment, established in 1997, is dedicated to the preservation, restoration, and promotion of Gene's music, films, and television programs so that future generations may know and enjoy the work of America's Favorite Singing Cowboy, Gene Autry. 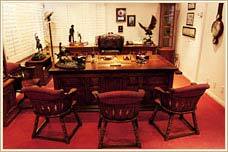 Gene's office remains as it was when he used it and now Jackie Autry uses it when she conducts business from the offices of Gene Autry Entertainment. 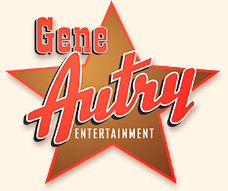 If you have a comment or a question about Gene Autry Entertainment, please click here to use our contact form.